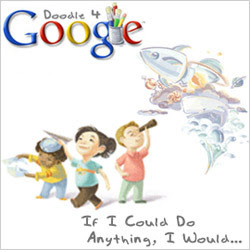 Burlington High School Principal's Blog: We're Going Google Today - Can This Work In Schools? We're Going Google Today - Can This Work In Schools? One of the reasons Google has been so successful in coming up with innovation after innovation is the environment that they have created for their employees. Google hires talented people (I think we do that too) and then gives these creative individuals 20-percent of their time to work on innovations that they choose (not top-down mandates). Can this work in schools with teachers (and students)? I think the answer is yes which is why we are throwing out the agenda for our Professional Development Day on Monday. Some teachers have jokingly said that I have mandated creativity. While this is obviously not possible, I have every confidence that this will be better than most days of the previous PD Days where we have mandated other things that typically leave teachers feeling underwhelmed. The goal for the Monday is simple: Teachers should go work on something that they have thought about working on but have not had the time to do. It could be collaborating with a colleague in their department or a colleague from another department. It could mean working to get comfortable with one of the countless technology tools available. When I mentioned it at the faculty meeting this past week, I was intentionally vague because I do not want any of my narrow-minded thinking to get in the way of thoughts that staff members might have. The only message that I wanted to come out is that I trust the teachers at my school to be professional and productive without stifling administrative oversight. I think this may be the best Professional Development Day yet! Explain briefly how your work will impact your classroom teaching? What did you think of the format of today's PD day? Great idea. I look forward to hearing how it goes. Interesting Idea. Too bad it's only the high school. You can't really get a sense of how this experiment can impact the district if the whole district doesn't have a chance to participate. I have a huge folder of ideas, many of which were generated in talks with my colleagues, which I haven't had the opportunity to turn into reality because of time. I'll be in traditional PD with the rest of the elementary staff and the ideas will remain in the folder. If PD is going to be re-visioned, it might be nice to look at it from a systems perspective. Gee, you could even include the union and the PD Committee, too! I believe you will have positive results with the majority of your educational team. I hope you will share some of the specifics of what was accomplished on the PD day using this approach. I'm jealous...I want my PD to be this too! Time is the greatest gift that you can give to a teacher. Great way to honor a teacher's time and allow them to get the creative juices flowing. Now THAT's how to help build a community of collaboration! Yes! When we do things that we are interested in, passionate about, then wonderful things happen! I can tell you from personal experience that this works. We have done this in my building for PD as well as in classrooms with students. Great things happen when you give autonomy to teachers. Looking forward to hearing more about this!